An archaeological feature is an aspect of the archaeology that can be seen in the ground but isn’t movable unlike a brooch or piece of pottery for example, which is classed as a find. Examples of features are walls, pits and ditches. So, what do features tell us that finds don’t? Together with finds, features help us to build up a story of what happened on a site over time and attribute dates to activity on site – what people did there and when. 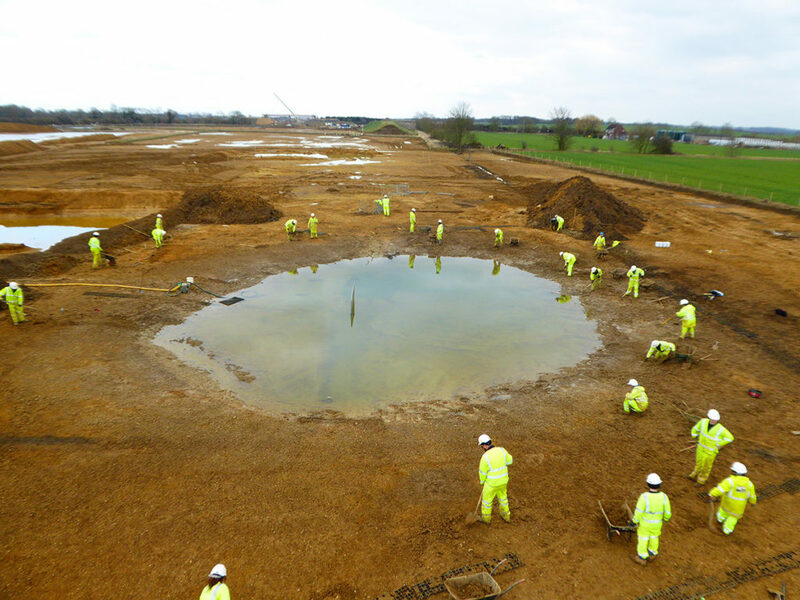 The vast scale of the A14 Cambridge to Huntingdon improvement scheme has provided unparalleled opportunities to examine the rich archaeological heritage of Cambridgeshire. 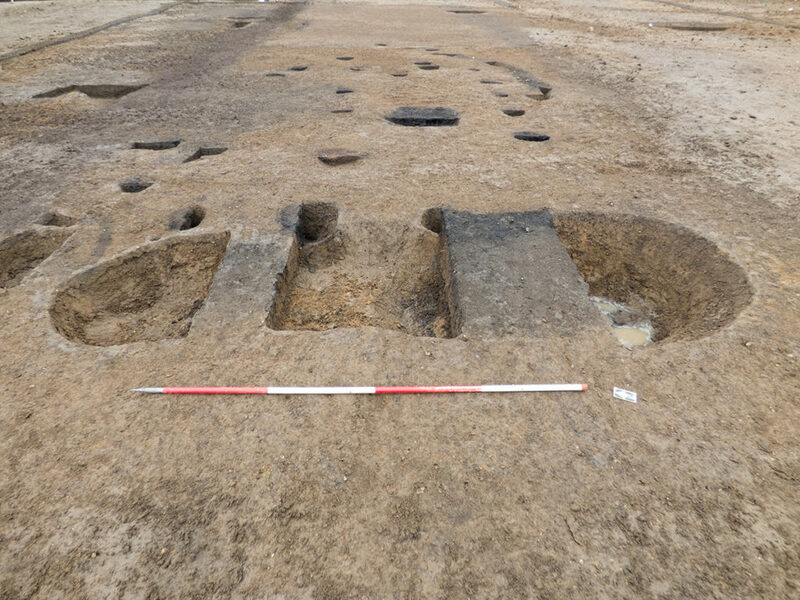 The extent of each site along the route has meant that many fascinating archaeological features have been excavated in their entirety, allowing for an exceptional level of investigation and understanding. Discovered during excavations of the deserted medieval village of Houghton, the blacksmith’s workshop has proved to be a firm favourite with our archaeologists, offering a glimpse into the daily life of a bustling village community between the 11th and 13th centuries. Archaeological remains including evidence of metal-working in the form of a pit filled with lumps of slag and hammerscale (the by-product of iron-forging), and post-holes from a wooden building help to conjure up the sights and smells of this industrious, productive corner of a long-lost community. Another favourite feature from our field team is this spectacular wood-lined well. Found just west of Brampton, it dates to the Saxon period (400 to 1066 AD). Because of the amazing preservation owing to the water-logged Cambridgeshire landscape we are able to see how it has been carefully constructed to prevent the soft edges from crumbling inward. Wells such as this one would have been crucial to ensuring that local populations had access to cleaner water in a watery landscape where contamination would have been a problem. 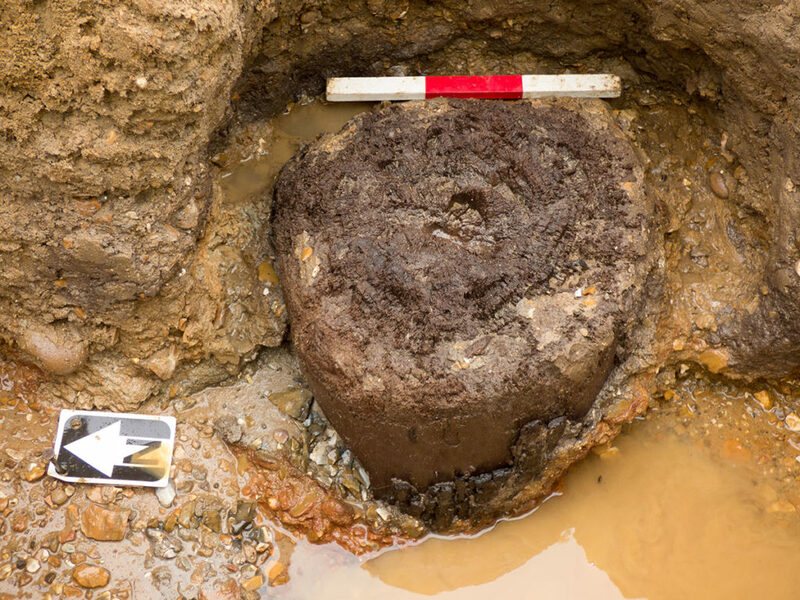 This was excavated just south west of Fenstanton and measured around 35 metres in diameter. 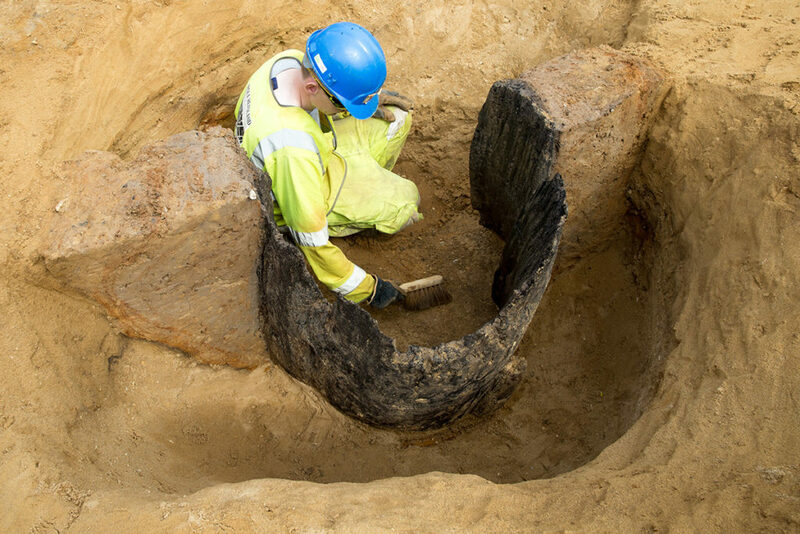 Our team excavated down into the spring and discovered evidence of wooden tanks which would have had some impact on the cleanliness of the water. This feature alone really illustrates the importance of water management to this fen-edge community both in Roman times and the present day. The pits were discovered close to the modern village of Brampton and gave the team intimate insight into domestic life from 700BC – 43AD. 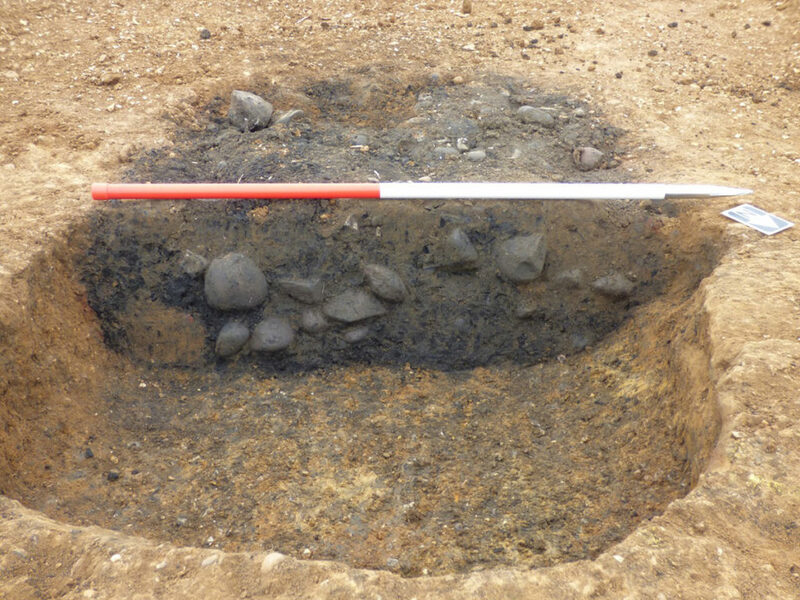 The pits contained charred material and fire-cracked stones which would have been used in cooking. In the Iron Age these stones would have been heated up and thrown into the pits, with their heat slowly being released over several hours. Finally, enormous elm posts which survived extremely well in the wet ground conditions in Orford Cluny proved to be part of one of these structures. The posts would have held up the roof of a large aisled Roman building and have been radio-carbon dated to 120 – 240 AD.